There was a time as recently as the 1980s when storefronts, murals, banners, barn signs, billboards and even street signs were all hand-lettered with brush and paint. But, like many skilled trades, the sign industry has been overrun by the techno-fueled promise of quicker and cheaper. The resulting proliferation of computer-designed, die-cut vinyl lettering and inkjet printers has ushered a creeping sameness into our visual landscape. Fortunately, there is a growing trend to seek out traditional sign painters and a renaissance in the trade. This book documents a collection these dedicated practitioners, their time-honored methods and their appreciation for quality and craftsmanship. 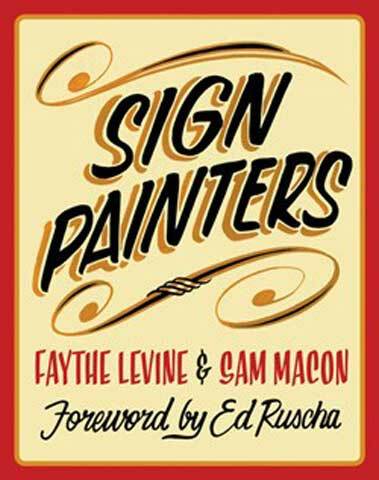 It provides a history of the craft, features stories and photographs of more than two dozen sign painters working in cities throughout the United States.